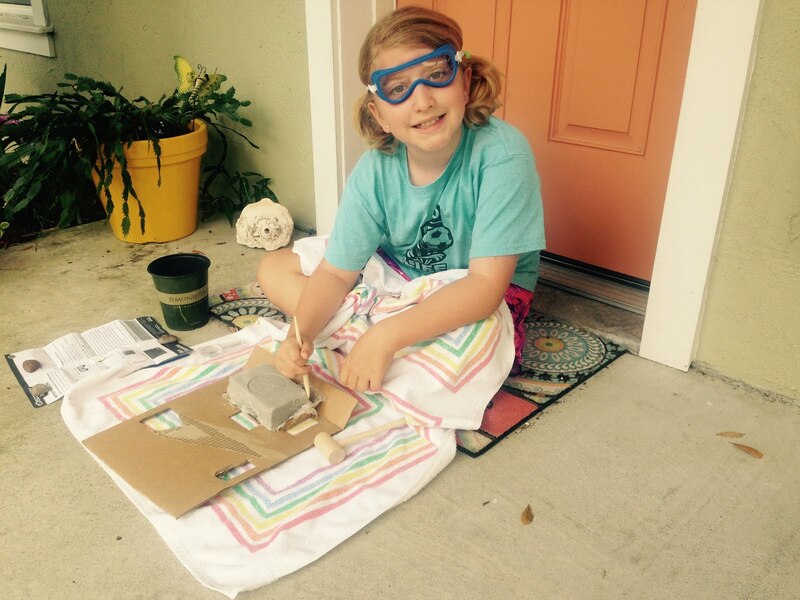 Shanna's Adventures: Inspiring a Future Geologist? 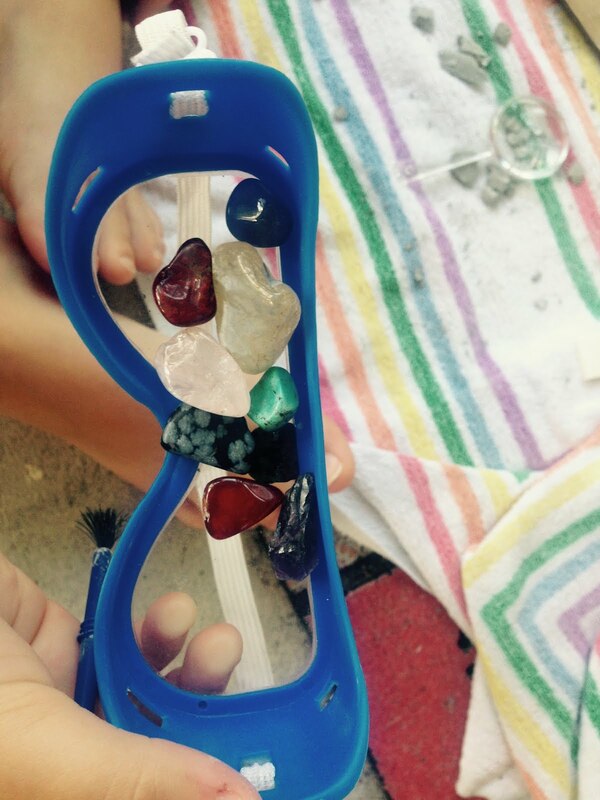 Elisabeth spent her own allowance on a Discovery Kids Rock & Gem Dig Kit. She was so excited to get home and begin her quest to unlock the treasures inside. It was good to see her spend her money on something educational. The box recommends ages 12 and up, but, after reading the directions, she couldn't fathom why. She spent a couple of hours on this little project and her enthusiasm inspired big brother to get involved as well. Afterwards, she declared she wanted to be an archaeologist. 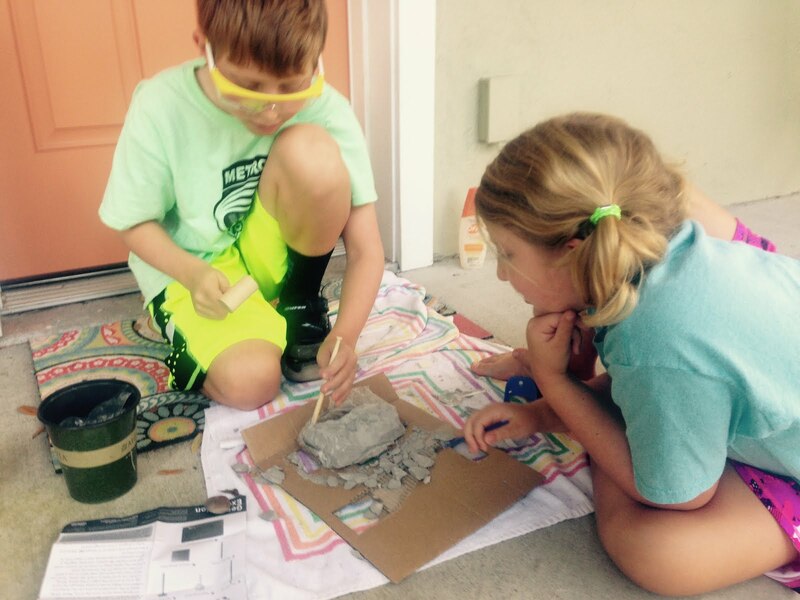 I gave a brief explanation of an archaeologist (who studies human artifacts and remains), a paleontologist (studies fossils) and a geologist (who studies the actual earth) which resulted in her declaring that she in fact wants to be a geologist.